Today, I went paddle boarding and potlucking with some friends at the beach. There, I met James. He is my stranger of the day. 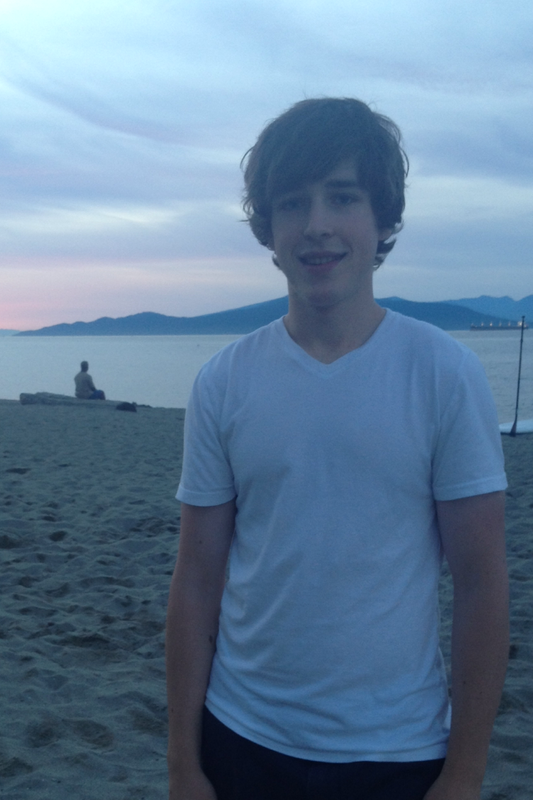 James is studying engineering physics at UBC. This summer, he learned just how much he loves what he’s studying. He built a robot and when he was done, he kept programming and working because he realized he not only couldn’t stop, but didn’t want to. He’s drawn to engineering physics because of the way it challenges you to think and solve problems. He was exposed to this kind of thinking early on, even just by playing Lego and solving the problems the different pieces presented. I asked him what his advice would be for a group of people wanting to live a good life. After pondering for a good few minutes while we kicked a soccer ball around, as the super moon rose to the gleaming fuchsia hues of the setting sun over the ocean, he said, with a heartfelt tone: “Do what you love and don’t worry about the things you can’t control”. Even though we spoke for just a few minutes, I can tell James is a thoughtful, genuine, and down-to-Earth kind of person. He’s a good listener and there’s no denying he’s passionate about what he does. It’s inspiring.